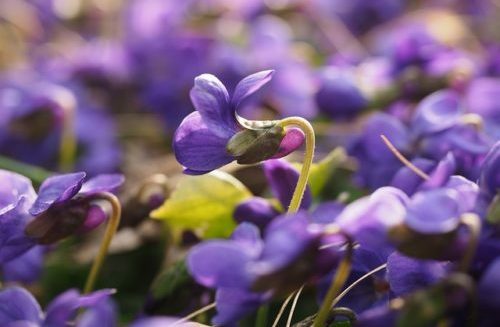 Violets can be used in a poultice, infused oil or salve to soothe dry skin, eczema, insect bites and other dermatological ailments. It is cooling and anti-inflammatory. When made into a syrup, violets can ease coughs and act as a mild laxative. The roots and seeds are also purgative. 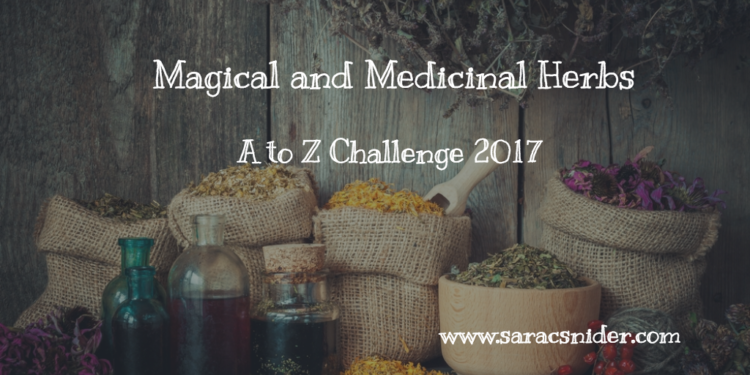 Drinking an infusion of violet leaves has, in some cases, been said to alleviate cancer pain, particularly of the throat. Working on my violet wreath… Happy A-to-Z-ing. And they are very pretty! I’d love to have violets on my lawn! Well, assuming I had a lawn. 😉 Violet wine would be exciting to try. Aren’t they pretty … interesting uses for them. Seems like there’s nothing violent about them.. I love violets as they’re such a pretty little flower. I think I might have to try infusing some in oil as this sounds like a lovely skin treatment. Thanks for sharing. I would also like to try a violet infusion. I eczema on my hands from time to time. Am curious if violet oil would help. I love violets. It’s nice to know that they have many uses. Never knew violets had so many uses! I would never have imagined violets had so many interesting uses. Fascinating. I love LOVE love violets. I wish I could grow them in Australia. I love their smell, their taste, their pretty little colour. I have several violet perfumes and love eating violet pastilles (when I can get them). They are great little flowers. If I ever find violet pastilles, I am definitely going to try them. September first is officially spring for us. I must remember to gather the first violet on that day…and then make a wish. You crazy lot in the Southern Hemisphere. 😉 Hopefully your wish will come true!